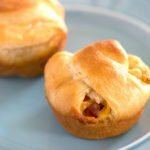 Bacon Egg and Cheese Crescents – Crescent rolls stuffed with scrambled eggs, crumbled bacon, and cheese. 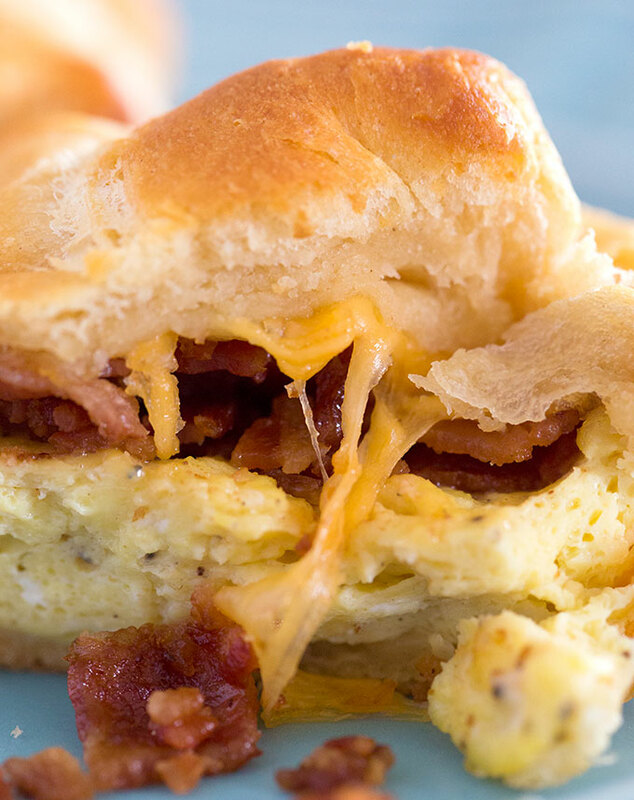 This crescent roll breakfast is perfect for brunch or a weekend breakfast. 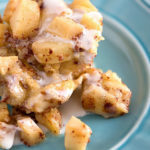 How to make this crescent roll breakfast recipe. Unroll a package of crescent rolls and separate the dough into 8 triangles. Gently stretch out the dough. 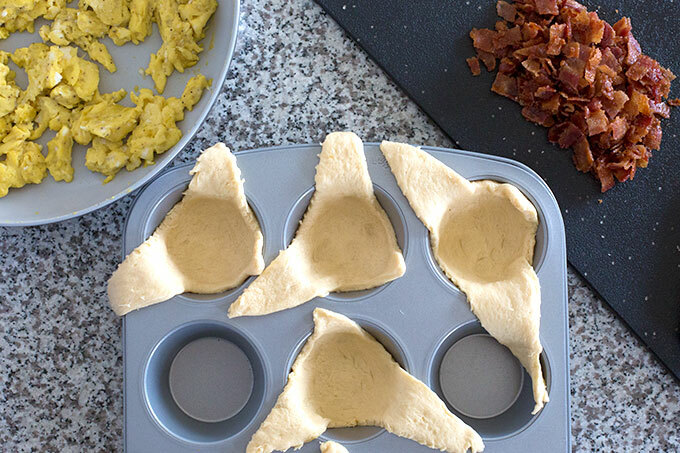 Push the center of each triangle down into the center of a muffin cup in a nonstick muffin tin. 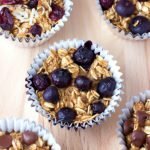 The 3 points of the triangle should be sticking out of the top of the muffin cup. Spoon cooked scrambled eggs into the crescent roll dough. Use the back of a spoon to smash the eggs down into an even flat layer. Top the eggs with cooked crumbled bacon. 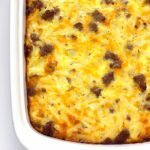 Top the bacon with shredded cheddar cheese. Fold the points of the crescent roll over the top of the filling trying to cover as much of the filling as possible. Pinch the dough together where it touches. Cool for 5 minutes before removing from the muffin tin. Bacon Egg and Cheese Crescents - Crescent rolls stuffed with scrambled eggs, crumbled bacon, and cheese. 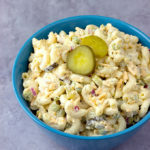 Perfect for brunch or a weekend breakfast. Bake or fry the bacon according to its package directions. Cool. Blot grease away with paper towels. Chop or use your hands to crumble the bacon into very small pieces. Add the eggs, milk, salt, and pepper to a large bowl. 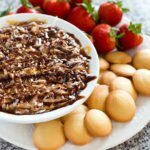 Whisk until the eggs are well scrambled. Add the butter to a medium skillet and place over medium heat until the butter is melted. Add the eggs to the skillet. Cook the eggs, stirring occasionally, for 5 minutes until the eggs are done (160 degrees Fahrenheit). Unroll and separate the crescent roll dough into 8 triangles. Gently stretch out the dough. 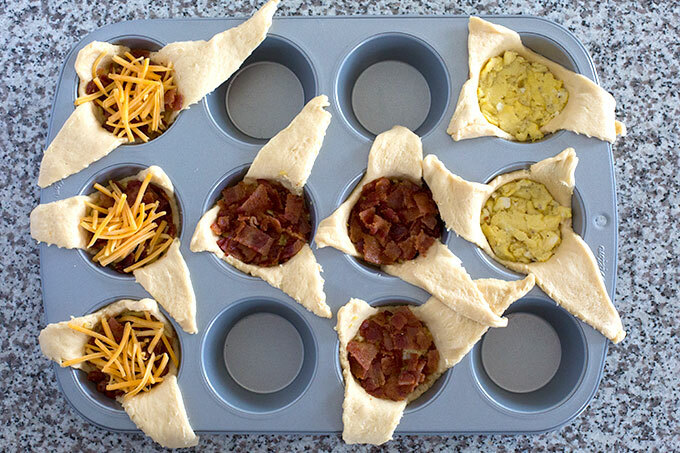 Push the center of each triangle down into the center of a muffin cup in a nonstick muffin tin. The 3 points of the triangle should be sticking out of the top of the muffin cup. Divide the cooked eggs between the crescent rolls. Use the back of a spoon to smash the eggs down into an even flat layer. Top the eggs with the bacon. 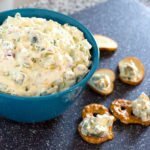 Top the bacon with the shredded cheese. 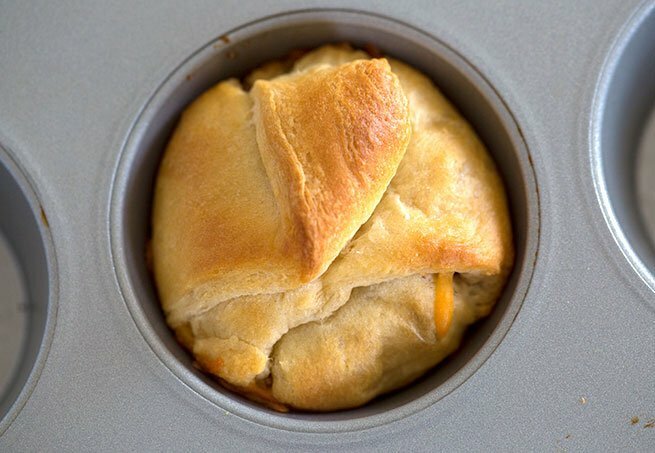 Fold the points of the crescent roll over the top of the filling, trying to cover as much of the filling as possible. Pinch the dough together where it touches. Cool for 5 minutes before removing from the muffin tin. * Serve warm. 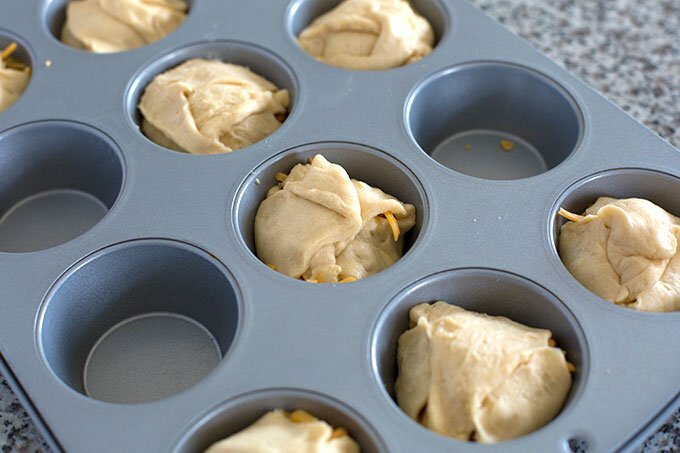 *Don’t leave them in the muffin tin for much longer than 5 minutes or the bottoms will get soggy. AMAZING! 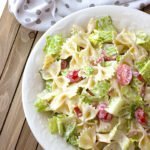 These are perfect for weekend brunch with the fam! Very good. Even our grandson, teenager, likes them.